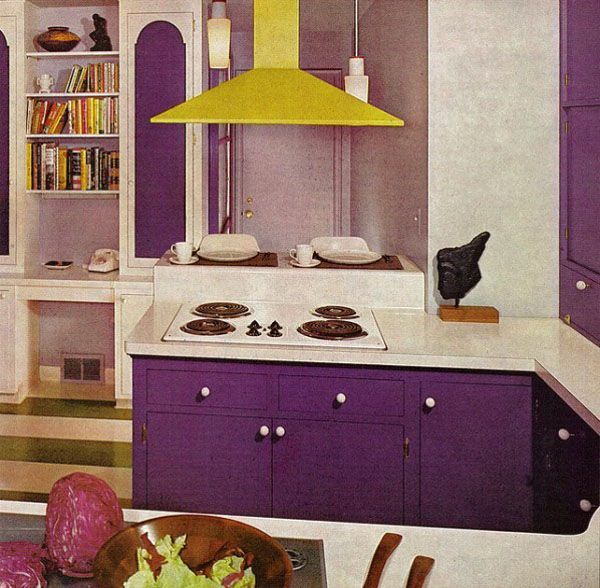 I love color, which is why the 1970s is one of my favorite eras. 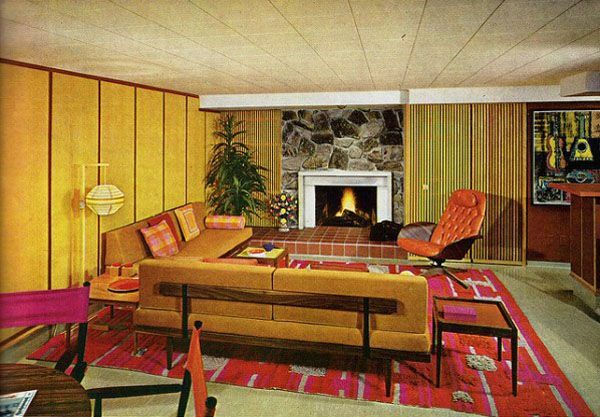 I just love looking through old interior design books—and while the 50s and 60s offer midcentury chic at it’s finest, the 1970s is like Mad Men on acid. TOO MUCH FUN! 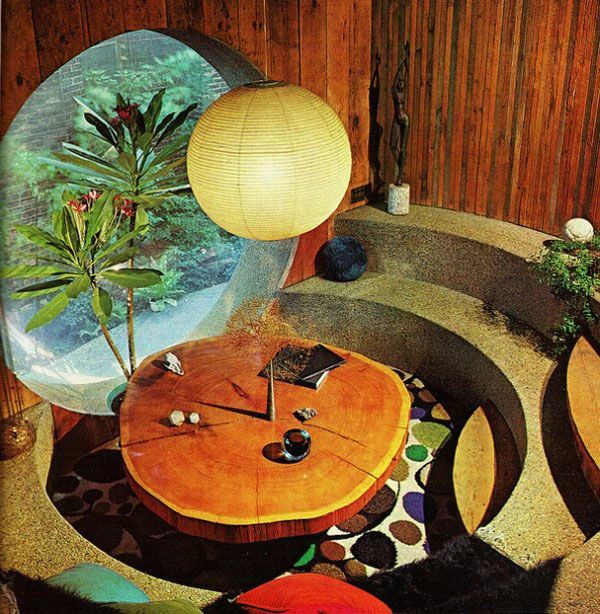 (erm…..the interiors….not Mad Men on acid.) 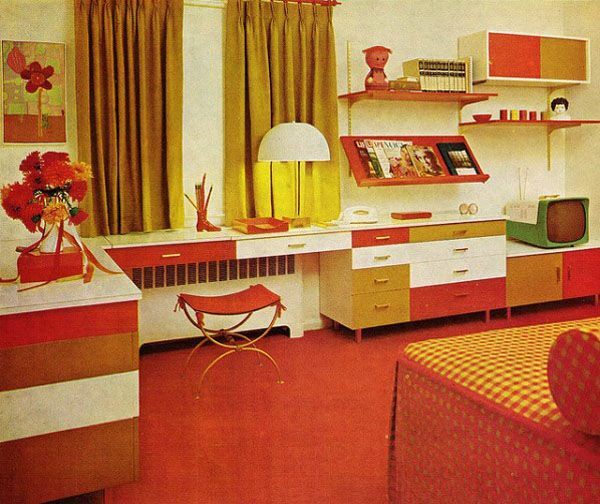 I have several design books and The Practical Encyclopedia of Good Decorating and Home Improvement (whew! say that 10x fast) is one of the best. It’s a multi volume collection of style. Be prepared to have your mind blown…. Which were your favorites?? 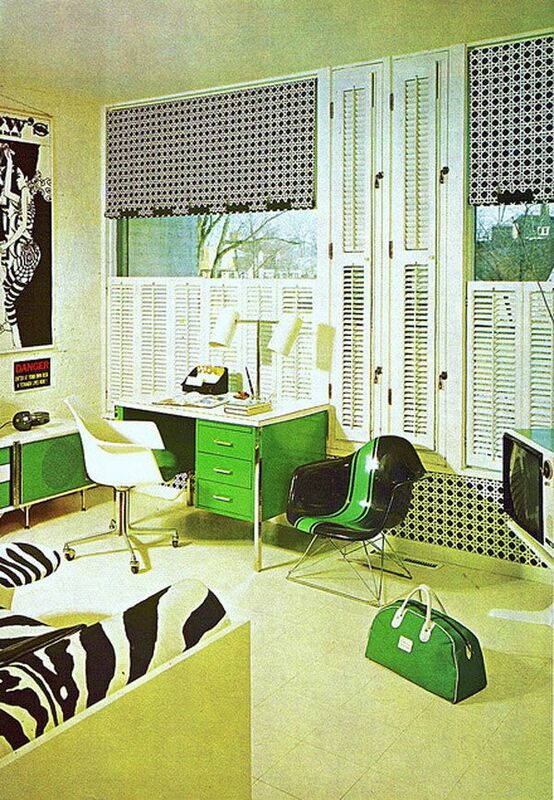 I’m loving the lime green…the lucite…the built-ins in that bedroom with the green TV (LOVE) and then there is THE BED. Which is terrifyingly fab! And you?? 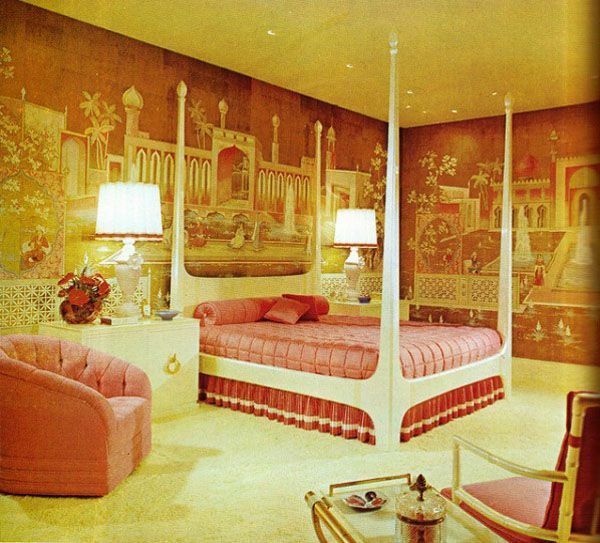 OMG, those green chaises and the Taj Mahal bedroom, swoon. I was a teenager in the 70’s and it’s my favorite era. I have fond memories of my self embroidered jeans and workshirts, my platform shoes and potholder vests. It was really the most colorful era wasn’t it?? Even the average guy wore a crazy tie or colorful pants! 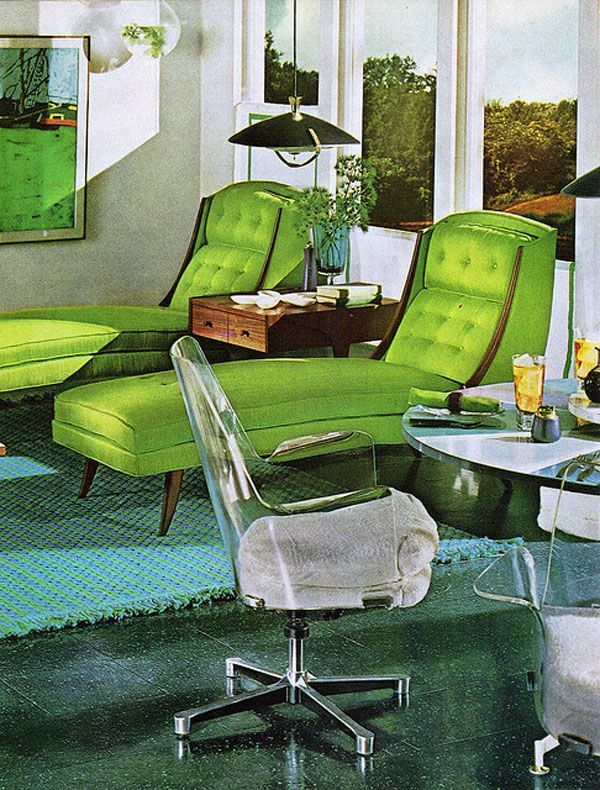 My mom actually had that green desk! Too funny! 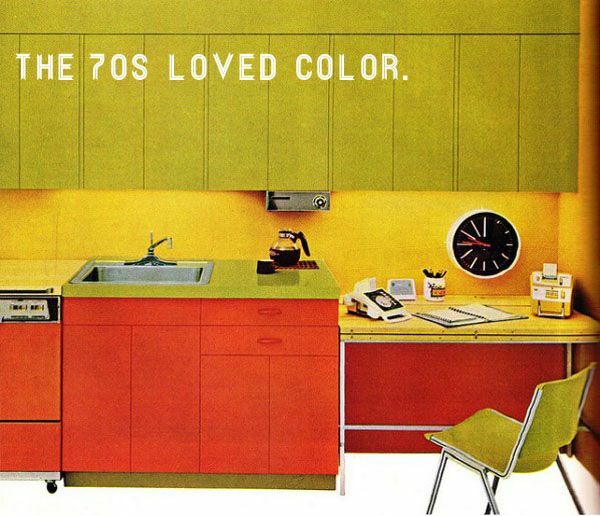 Wow, this is my favorite era of design… mid century modern that went just a little to far before the earthy 70s backlash. All the step down pits & colorblocking is superb. 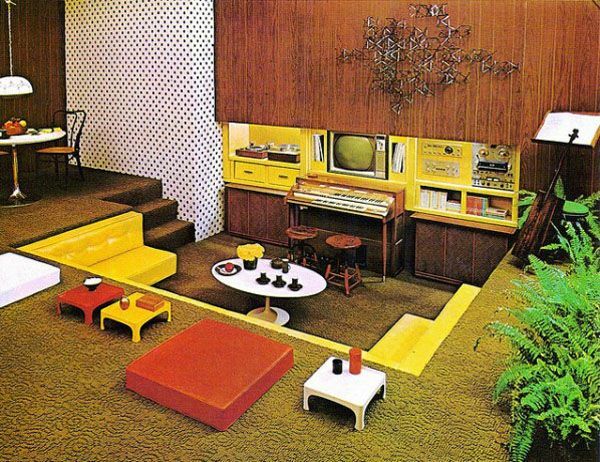 Is that an organ right in front of the Tv… 4th photo down!? OH YES, that is indeed an organ. I love this period too. 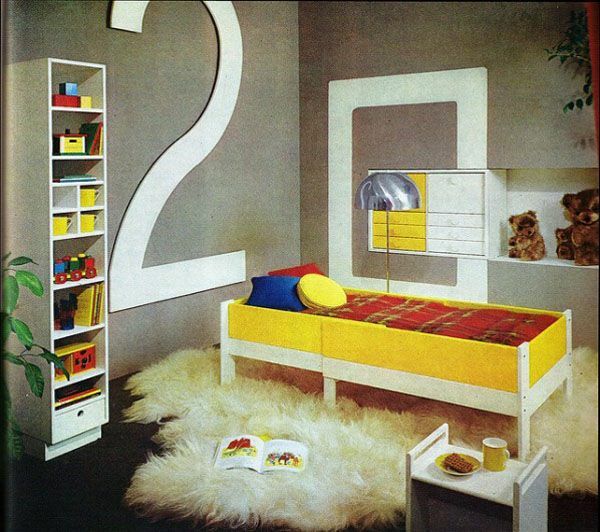 And you hit it on the head…that early 70s was the best, still a bit of the 70s influence and not too knee deep in macrame! I imagine this is what heaven will look like. I’m not kidding…! think there is a color called ‘ocker? or is that German? Its a mix of brown and yellow and green. Oh yes, and there is the organ , of course. 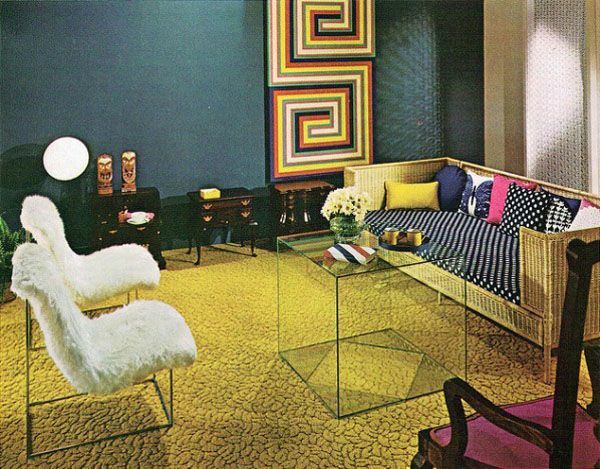 I love the black and white trend that’s so hot right now, but I just can’t rid my life of color… I love me some 1970’s fab too. Great images, as always. Hey there! 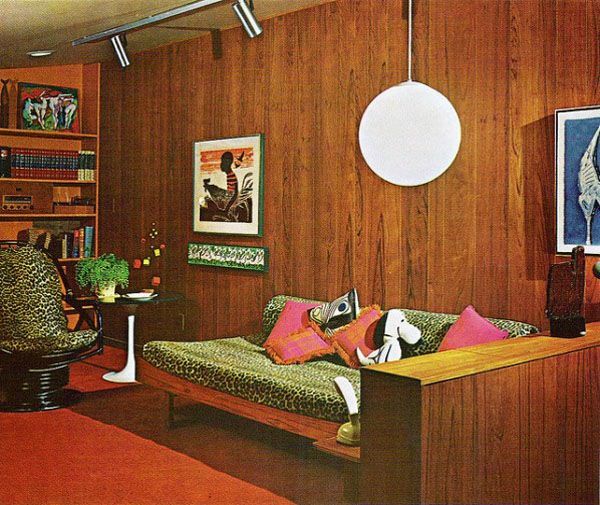 I am getting ready to release an album, and I found the second picture with the round ceiling lamp! Was wondering if I could get your permission to use this as an album cover?